"Little Anthony & The Imperials"
Having settled on an unusual sing-song vocal delivery that emphasized his exceedingly youthful-sounding tenor, Little Anthony (as deejay Alan Freed had christened him unexpectedly one day on his WINS program while spinning his group's smash Tears On My Pillow) Gourdine and his Imperials were primed to register a long string of hits for George Goldner's New York-based End label. It hadn't been an easy journey for Anthony, a Brooklyn denizen who fronted The Duponts and then The Chesters on singles that failed to hit before the latter group was renamed The Imperials (allegedly by End public relations man Lou Galli). Their first End single was supposed to have featured the soaring ballad Two People In The World, but it was the other side, the silky Tears On My Pillow, that became their calling card when it became a massive hit in the summer of 1958 (it's on our prior collection). Anthony and his Imperials (first tenor Tracey Lord, second tenor Ernest Wright, Jr., baritone Clarence Collins, and bass Glouster 'Nate' Rogers) encored with So Much, a #24 R&B entry for a week in early 1959. 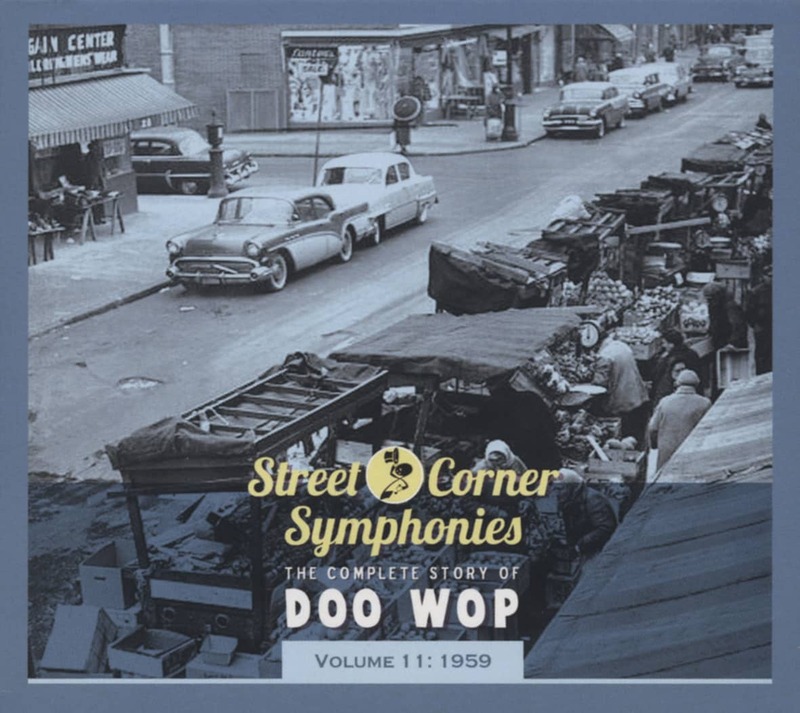 Goldner had left orders with his second-in-command, A&R man Richard Barrett, to issue another Imperials ballad, Neil Sedaka's The Diary, as the group's next 45 instead before Goldner embarked on a European vacation. Barrett chose his own composition So Much as the quintet's next release instead. By the time The Imperials' treatment of The Diary came out, Sedaka's own RCA Victor version had stolen its chart thunder. 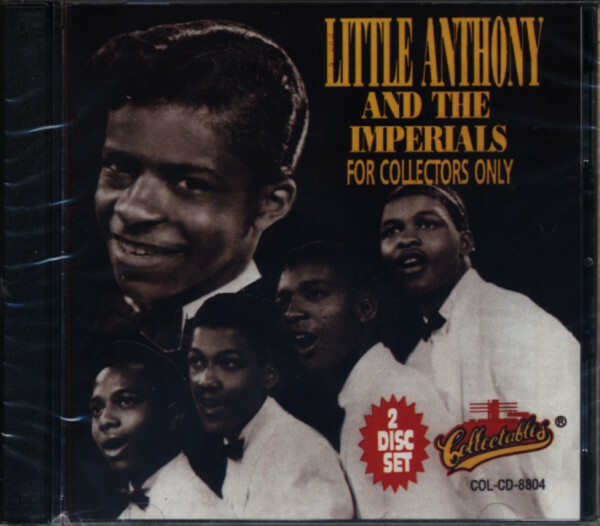 1959 brought more low-end pop chart entries for Little Anthony & The Imperials: Wishful Thinking, A Prayer And A Juke Box. Consumers somehow missed the most exciting thing they waxed that year, the gospel rocker I'm Alright, penned by Gourdine and his pal Sam Cooke. "Very few people know that I wrote that song in the basement at the Apollo Theatre in New York," says Anthony. "We were just goofin' around, and one word led to another. And I came up with a word, he came up with a word. We came up with a riff, and there it was!" The group's gymnastic choreography on the number never ceased to electrify their audiences. But they rebounded bigtime on the charts with their fanciful upbeat entry Shimmy Shimmy, Ko-Ko Bop. Released in November of '59 on End with I'm Still In Love With You on the flip, it soared to #14 R&B and #24 pop. "It's not one of my favorite songs, but it's not as bad as I make it be onstage. We use it onstage, we do a whole big thing about, 'It's Ernest's song, it's not my song,' you know. We do a whole lot of comedy on our show," says Anthony. "That's part of my act. Whatever people spent their money on and gave us a chance to do what we're doing now, I loved." After My Empty Room made a minor splash in the spring of 1960, the hits stopped. For awhile, Gourdine split from the group. By '64, he'd reteamed with Wright and Collins, adding ex-Chips tenor Sammy Strain to reform Little Anthony and The Imperials. They commenced an even more impressive string of pop/soul hits with arranger/producer Teddy Randazzo for Don Costa's DCP Productions label: I'm On The Outside (Looking In), Goin' Out Of My Head, Hurt So Bad. Gourdine, Collins, and Wright still perform together as Little Anthony and The Imperials. "It's a nice feeling to begin and end your career, not only with peers but good friends," says Anthony. "We basically all grew up together in Brooklyn." Customer evaluation for "For Collectors Only 2-CD"